Communication skills training is crucial to creating a business environment that facilitates open discourse between employees and management across multiple platforms. Never before have we been required to communicate in so many ways – face to face, over the phone, via email, webinars, and online meetings. Learning to communicate effectively is an imperative skill that each team member must master in order to create a harmonious work environment. With such importance placed on communications skills training, choosing a keynote speaker or consultant to develop the communication skills most needed by your company is paramount. But how do you know what kind of speaker will best meet your needs? Communication is a broad spectrum, especially since we communicate in dozens of different ways. Do you want to facilitate better face-to-face communication between your employees? Or perhaps you’d like to focus on conflict resolution and communication under pressure. By getting specific, you’ll be able to not only find a speaker with experience in your area of interest, but share with them your goals for the training sessions. A one-day intensive creates a very different result than ongoing training or consulting that takes place over weeks, months or years. Decide how long and involved you think the process needs to be, keeping in mind that long-term training is more likely to facilitate long-term change within the workplace. 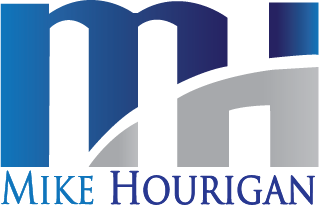 Mike Hourigan is a Keynote Speaker, Author and Consultant who specializes in communications skills training.